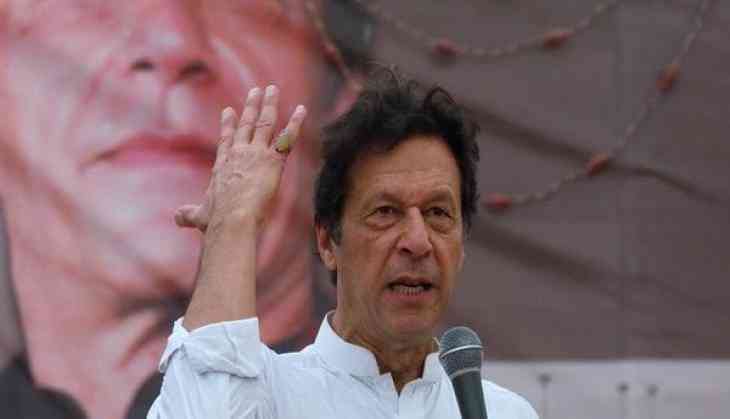 The Election Commission of Pakistan (ECP) issued notice to Pakistan Tehreek-e-Insaf chairman and Pakistan's Prime Minister in-waiting Imran Khan on Monday, asking him for written explanation over his alleged voting in full public view and in front of camera in the just ended general elections on July 25. His alleged act is violation of model code of conduct as per the ECP's rules. Babar Awan, Imran's counsel appeared before ECP earlier today after which the ECP asked for a written reply from Khan and adjourned the hearing till August 16, reported Geo News. The ECP had earlier summoned the cricketer-turned-politician. The ECP issued notice to Khan since it violated the secrecy of the ballot when he allegedly cast his vote in NA-53 constituency while surrounded by friends and supporters. Apparently neither the presiding officer nor the polling staff objected to the violation. According to Section 185 of the Election Act, a person can be given a six-month jail sentence and/or fine of Rs 1,000 for not casting their vote in secrecy. PTI leader Naeemul Haque has blamed the polling staff present at the booth for the controversial casting of vote.